In a major victory for India, the US on Thursday agreed to support the former’s demand to be allowed to continue with its food stockpiling scheme. In return, India will lift its veto on a global agreement on streamlining customs rules, known as the Trade Facilitation Agreement (TFA), being negotiated by the members of the World Trade Organization (WTO). With this, the TFA – which is estimated to add $1 trillion to the world economy by reducing the costs of conducting trade by simplifying customs procedures and generating 21 million jobs – is expected to be ratifiedby WTO members. The agreement was supposed to be signed by all WTO members by July 31, 2014. However, India, led by its new Prime Minister Narendra Modi, adopted a hard stance that it would veto the deal unless its concerns about its food security programme were addressed first. Under WTO rules, food stockpiling with government subsidy beyond a certain limit is illegal, but India insists its food programme is non-negotiable as it’s aimed at ensuring that India’s1.25billion people have enough to eat. Under the subsidy programme, India buys grains from farmers at higher than market prices, stockpiles them, and later distributes the same to people at highly subsidised rates. This is against WTO norms, which allow subsidies of only up to 10 per cent of the value of the country’s total agriculture output. (India’s subsidised food far exceeds this.) India’s demand to remove the 10 per cent cap on subsidies was rejected by other WTO members, but at the Bali summit, members agreed to allow India to bypass this law temporarily till 2017, while a permanent solution was negotiated. Under the latest pact with Washington, New Delhi will now be able to bypass this law indefinitely till a permanent solution is found. 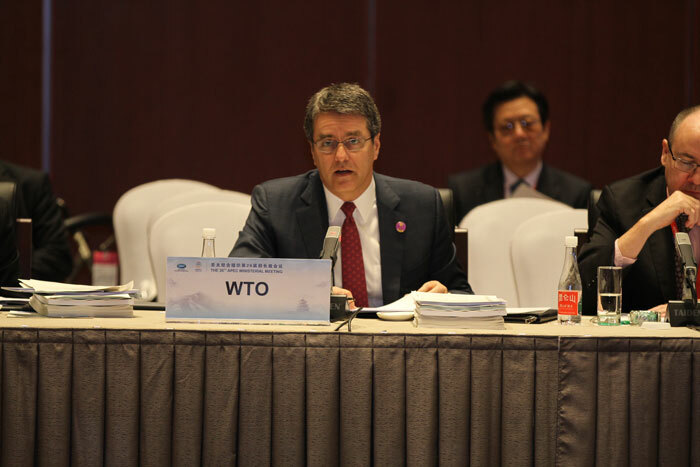 WTO Director General Roberto Azevedo termed the breakthrough “a significant step to getting the global trading system back on track”. US Trade Representative Michael Froman, a vocal critic of India’s food scheme, said theTFA would now win quick ratification. “On the basis of this breakthrough with India, we now look forward to working with all WTO members and with Director General Roberto Azevedo to reach a consensus that enables full implementation of all elements of the landmark Bali Package, including the Trade Facilitation Agreement,” Froman said in a statement. India’scommerce minister Nirmala Sitharaman said that the India-US compromise would now go before a December meeting of the WTO’s General Council, its highest decision-making body, for ratification. However, it is not clear if all WTO members will agree to the peace deal brokered by the US.